Doug Fagel and his dog Huxlie enjoy the Mt. Rose backcountry. 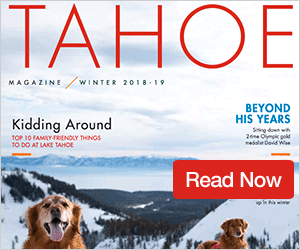 TRUCKEE, Calif. — With top brands like Burton, Salomon and others dominating the ski and snowboard industry, there is no shortage of options when it comes to purchasing quality equipment to enjoy the winter slopes here at Lake Tahoe and Truckee. But did you know we have a few local companies dedicated to stomping their name in the snow? Below is a quick profile on three companies dedicated to providing you a locally produced winter option. Recently celebrating its fourth anniversary, Truckee-based company Thrive Snowboards is ready to launch its fifth edition of products for 2017. Even though Thrive’s distribution center is in Rocklin, California, and its manufacturing plant is in Taiwan (where Rome and Nitrus boards are made), Thrive Founder Douglas Fagel says the business is at the epicenter of snow sports — at Truckee-Tahoe. “I moved here in 2001 and launched Thrive in 2012,” says Fagel. 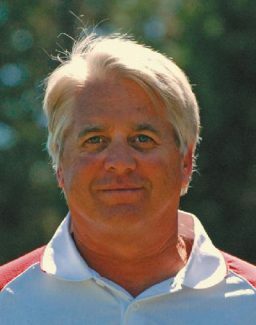 As an experienced snow educator, Fagel ran programs out of Sugar Bowl Ski Resort, founded the resort’s snowboard team, and was very much involved in snowboarding education. “My mantra is to connect people to a mountain experience through community, coaching and education. It keeps me on the forefront of the industry,” he says. Fagel says what makes Thrive different from other companies is how the design of the boards connects with the body. Currently, Thrive has five snowboard models available (two women’s versions and three for men), but Fagel says there are no hard and fast lines on who can ride what. To simplify things, Fagel only produces quality boards with the best materials to meet the needs of a wide range of riders. Considering he works with a lean team (a staff fewer than five), Fagel says he was relieved with Tahoe’s 2015-16 snow season. He added that a good winter in Tahoe allows Thrive to test other markets in Europe, Argentina, and Asia. 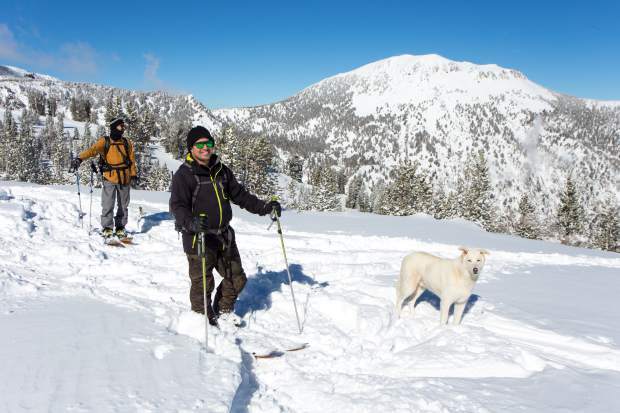 Even though Fagel admits that he’s a little spoiled in getting to ride all of the resorts at Truckee-Tahoe, his favorite thing to do still is going out in the backcountry with his dog Huxlie. Next to the Village Pub in Incline Village is a ski factory in the heart of Lake Tahoe’s North Shore. Praxis Skis has been around for about five years. Founder Keith O’Meara originally ran his workshop out of Truckee before relocating to Incline where the rent was less expensive and just as close to the mountains. “What we sell is made-to-order; everything is direct and paid for online,” he says. Producing about 2,000 pairs of skis per year, Praxis has about 20 different models in its fleet. Fifty percent of Praxis’ sales go into the international market, a number that has fluctuated in Europe due to the exchange rate. “It hasn’t been good for exports,” O’Meara says. Starting the snow ski company after graduating from Sierra Nevada College, O’Meara says that what makes Praxis different is how it is going against the grain of design. “When we started, everything on the wall wouldn’t have existed,” he says pointing to the wall of skis in their front office. He added that the design of newer skis blossomed due to innovations in snowboarding and surfing, which is how Praxis got the idea to create a range of models from fat to conventional skis. “Everything is higher-end, targeted to intermediate to advanced skiers, mainly the freeride, off-piste competitor,” says O’Meara. New this year, Praxis skis feature graphics printed directly onto a wood finish, which is more of a craft than a mass-marketing innovation, O’Meara says. As more of a custom-fit company, a pair of Praxis skis is based on a customer’s height, weight, ability, the mountains they ride, and snow preference. “We can make any ski an ultra-light touring ski or make a stiff, durable charging ski,” he says. For powder lovers, newer skis have also developed over the years to make soft snow much more enjoyable. 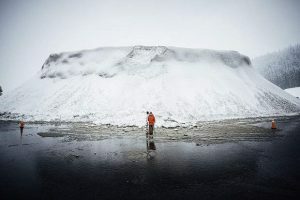 It’s almost guaranteed that if you go skiing up at Mt. Rose Ski Tahoe, at least one in six people will be on a pair of Moment Skis. The decade-old snow ski company based in the industrial area of Sparks, Nevada (just east of Reno), is known for its wide skis with unique tip shape and cool graphics. The factory is buzzing in the summer with 10-15 skilled laborers (who are skiers themselves) producing the new 2016-17 “Going Downhill” edition skis. With over 75 skis in its fleet, Moment makes skis primarily for professional mogul athletes. The wintertime is spent with the team shredding the local mountains and figuring out what to improve on for the following year’s models. So why the name “Moment?” CEO Luke Jacobson says that founder Casey Hakansson was on the freestyle tour and found himself hanging out with some girls from Chamonix around a campfire when it came to him. But it’s also a particular instance when “your body takes over and your mind stops working and everything clicks together — that’s called the ‘moment,’” Jacobson says. Although Hakansson is not as involved in the day-to-day operations anymore, Jacobson and his team have spent the last few months in production. Max Smith, Jacobson’s right-hand man and current UNR mechanical engineering major, is celebrating his sixth year at Moment. Now, Moment Skis is just waiting for snowfall — what Jacobson calls the company’s biggest marketer.